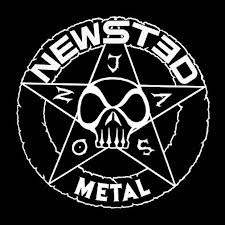 Hall of the Mountain King: Review: Newsted, "Metal"
After a stint in Canadian metal legends Voivod, Newsted disappeared for a while before re-emerging late last year with his eponymous band and hints of new music coming. Our first taste was the blazing thrash track “Soldierhead,” which I have to say impressed me. Sadly, it’s far and away the best song of the four on this EP. Aside from “Soldierhead,” “King of the Underdogs” is really the only track I kind of like. It opens with this gloomy, doomy piece that’s maybe a holdover from his Voivod days. 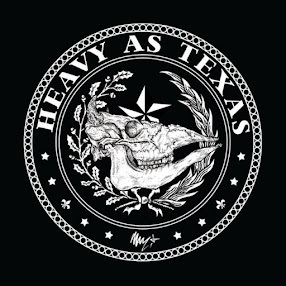 When the heavier part kicks in, Newsted delivers his best vocal performance, a growly shout over a staccato guitar riff. A heavier part toward the end of the song brings a punkish influence that leads to a groove riff and a lead guitar with kind of a sci-fi movie sound that I also like, but then it keeps going for close to two minutes and, like the other two songs, it wears out its welcome. So, the verdict? Not counting Voivod, it’s probably the best of Newsted’s efforts since leaving Metallica, but it’s certainly not what I was hoping for and not what “Soldierhead” promised. It’s interesting enough that if he releases a full record at some point, I’ll probably give it a listen, but I’m certainly not waiting on it in anticipation.